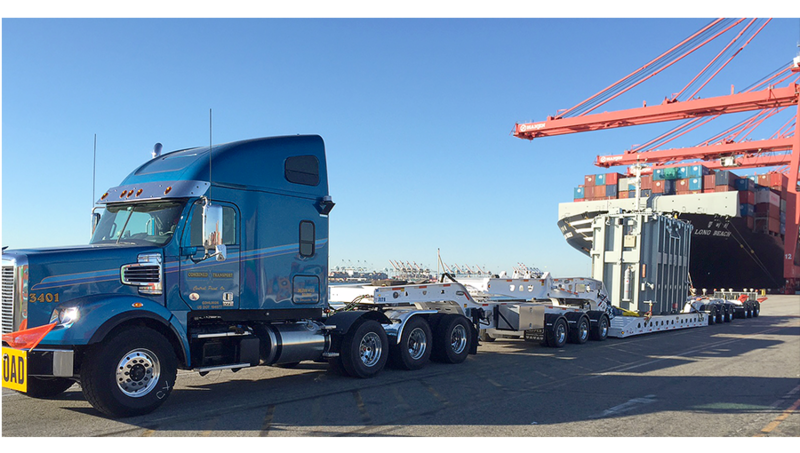 Our heavy haul division has a fleet of tractors and specialized trailers capable of hauling up to 175,000 lbs. Our goal is to provide a smooth, continuous transport with our specialized personnel and equipment. We will obtain all permits, route approvals, escorts and etc. so that you will not have to. With proper planning, we will deliver your shipment not only safely, but cost effectively and on time. When seeking to move specialized equipment that requires expertise beyond your standard heavy haul load, look to Combined Transport’s Superload division. Our fleet of multi-axle equipment is designed to handle all aspects of the manufacturing, power and contractor industries with precision, service and accountability. With our variety of multi axle combinations you can call one place to handle anything from small equipment up to 175,000 lb pieces with our super-light 13 axles. With the state of the art equipment and drivers with years of experience, your loads are assured to make delivery on time and claim free.